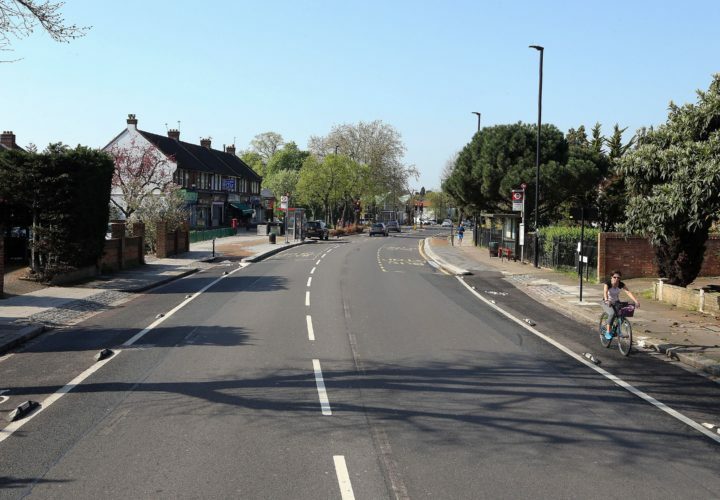 This is a unique opportunity for Enfield to transform the look, feel and accessibility of “Green Lanes” for the benefit of the whole community, whether they currently cycle or not. These plans have improved the look and feel of high streets along the A105, making them more appealing to visitors. Many existing car parking spaces and delivery bays have been kept, redesigned or upgraded. New cycle lanes and improved pedestrian crossings have connected people to the places they want to travel to daily. And with more of us able to walk and cycle, we hope to reduce the effects of air pollution and improve health and well-being. We’ve made changes to our designs following the consultation. you were concerned about stepping on/off the bus into the cycle lane. A buffer strip (at pavement height) will be introduced at 22 of the bus stop boarders, creating an additional space between the bus and the cycle lane, 6 bus stop boarders will remain as the original design. you thought the cycle lane might prevent access to places by people with a disability who are transported by private vehicles and by Dial A Ride. Blue badge holders and the Dial A Ride service will be able to set down and pick up passengers at any point along the route, even if that means temporarily entering the cycle lane to position their vehicle by the kerb. you felt there may not be enough loading bays. The same volume of formal loading bays in high street areas as previously existed is part of the design. Temporary loading permits can be assessed on a case-by-case basis. you were concerned that in places the cycle lane was located on the outside of parking bays, when it could be located on the inside of parking to provide greater protection. We changed the design where possible and ensured bus stops are also included in this decision. you did not like seeing Vicars Moor Lane converted to an exit only junction. Vicars Moor Lane will now remain as two-way operation but with the northbound slip road removed. This enables the increase in public space and improved cycle safety without restricting access. What is the overall timeline for Cycle Enfield scheme? How can I have my say on the Cycle Enfield schemes and plans?